VICE News first noticed that several prominent Republicans. such as RNC Chairwoman Ronna McDaniel and congressmen like Matt Gaetz and Mark Meadows, were not appearing in Twitter's search box even when their full names were typed out. That effectively lumped in Republican politicians with figures like far-right provocateurs Richard Spencer, Laura Loomer, and Mike Cernovich. By contrast, none of their Democratic counterparts were affected. According to some Twitter friends I am also shadow banned from the Twitter search bar. I’d be very grateful if @twitter could point me to any instances where I violated terms of service. The issue was fixed, but Twitter soon after put out a statement denying that it was "shadow banning" users, the phrase VICE used. "People are asking us if we shadow ban. We do not…" the tech company writes. "And we certainly don’t shadow ban based on political viewpoints or ideology." Uh, call me crazy, but that parenthetical sounds a lot like an admission that Twitter effectively shadow bans users. The problem is that both sides of the conversation are talking past each other, because no one can agree on what "shadow ban" means. In the early days of Internet forums, "shadow ban" was a term that meant a user could still post and see other people's posts, but secretly other users could not see their activity. They weren't banned from the forum, but as far as the other users were concerned, the "shadow banned" user simply didn't exist at all. Based on that definition, there have been a series of tut-tut pieces about how of course Twitter doesn't "shadow ban" and conservatives are freaking out over nothing. It's also the definition Twitter uses. "The best definition we found is this: deliberately making someone’s content undiscoverable to everyone except the person who posted it, unbeknownst to the original poster," they write. That strict definition was useful in the days when post visibility was basically the only way users engaged with each other. If you wanted to talk about a subject, you had to navigate through a forum, click on a post, and browse through the replies to see what people were saying. In those days, making someone's posts completely undiscoverable was the only way to "shadow ban" someone. But social media is used so much differently. 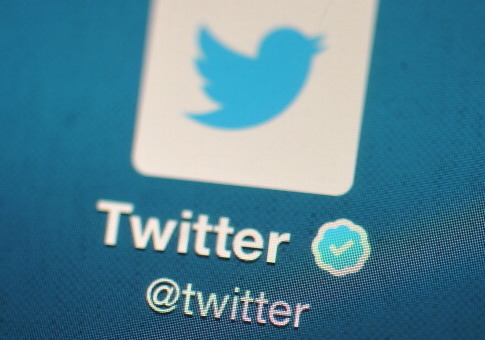 The bulk of Twitter users don't seek out individual accounts and scroll through their tweets. The entire point of Twitter is that by tweeting and retweeting, you place yourself and others on your followers' newsfeeds. By tagging or replying to someone, you place yourself in their mentions. By using a hashtag, you make your tweet visible to people who are interested in searching for that subject. If, as Twitter admits, I can willingly choose to follow someone and not see any of their tweets unless I actively seek out their profile (and after their name not showing up in the search recommendations), then for all intents and purposes they have been banned from participating in Twitter the way 99.9% of users use the platform. Call it a florp, call it a bifworz, call it what you please. If a person is de facto banned from joining the conversation and isn't informed of that fact, "shadow ban" seems like a perfectly fine shorthand to me, prescriptivism and pedantry be damned. Twitter is of course at perfect liberty to shadow ban, or ban for that matter, anyone they please. And for what it's worth, I'm inclined to believe that the search bug disproportionately affecting conservatives was probably unintentional. But the explanation for how it came about is a bit vague. For the most part, we believe the issue had more to do with how other people were interacting with these representatives’ accounts than the accounts themselves… There are communities that try to boost each other’s presence on the platform through coordinated engagement. We believe these types of actors engaged with the representatives’ accounts– the impact of this coordinated behavior, in combination with our implementation of search auto-suggestions, caused the representatives’ accounts to not show up in auto-suggestions. In addition to fixing search yesterday, we’re continuing to improve our system so it can better detect these situations and correct for them. If Twitter was disfavoring certain accounts based on how other accounts interact with them, that isn't ideal. Speaking for myself, I've had tweets go viral on the alt-right simply because they were critical of campus liberals. I've also been placed on mass blocklists that users can subscribe to and preemptively block anyone who expresses a thoughtcrime. I'm sure you can tell from my opening paragraph that I recognize that this ranks pretty low in matters of importance. But millions of people use Twitter everyday, and the platform sometimes rivals television and traditional news outlets in its cultural power. If Twitter wants to hold onto that power, alienating half of Americans and lame excuses doesn't seem like a great way of going about it. Update: This post has been updated to more accurately describe the far-right individuals shadow-banned by Twitter. This entry was posted in Culture and tagged Twitter. Bookmark the permalink.